I hope you’ve had a good week. The full moon energy and Mercury in Retrograde has thrown a spanner in the works for some people. If you’ve had a crisis or two or if old issues have resurfaced don’t be surprised. There’s definitely been something in the air. I’ve had some clients this past couple of weeks with really big issues but apparently when you clear of negative patterns during Mercury Retrograde those lessons don’t need to be repeated. They are cleared for good!I’m certainly not an astrology expert but I do notice that during Mercury Retrograde, which occurs for approximately three weeks four times a year, plans can go awry, communication can be tricky, technology can have glitches and things can feel like they’re going backwards. Don’t stress, it finished last Sunday so things can settle down now and/or move forward again. Things have certainly been moving forward at our clinic. Next week we’re saying goodbye to a couple of a gorgeous practitioners Anne Maree, our Acupuncturist is retiring to finish writing her book and Nicholas is moving on to another clinic. We’re sad to see them go but we do have Maria and Paul joining our team which is fabulous. They are both remedial massage therapist and I can tell you from personal experience that they both doing amazing massages. It was part of their interview procedure to massage one of our staff. As you’ll appreciate we sometimes fight over who gets to do the “interview” with new massage therapist. I can highly recommend that you try them out. We’re currently offering a Far Infrared Sauna and Massage combination for just $99 which gives you 30 minutes in the Sauna and a 60 minute massage. Heavenly! Anyway, today I want to talk to you about detoxing. Sweating in the Sauna is a fabulous way to detox but last night I watched “Trust Me, I’m a Doctor” with Michael Mosley. One of the experiments they did was to test the air quality in the homes of five families. These families went about their normal routine for a week as the air was monitored. They all used various cleaning products including air fresheners and fragrant candles etc. One couple in particular cleaned a lot. They washed the floor four times a day after taking the dog for a walk and they use lots of air freshener, furniture polish and other everyday cleaning products. The air in all the homes was quite toxic but the air in the very clean couples home’ was frighteningly toxic. Such an irony hey? Apparently a commonly used fragrance in cleaning products called Limonene. This chemical is safe in itself but when it reacts in the air and creates Formaldehyde which is a known carcinogen. The experiment involved giving each family several house plants to see if they reduced the toxicity in the air. Over the course of the next week the air quality was measured again and even though everyone was using the same products and toxicity in the air dropped. The house plants absorbed and neutralized the chemicals. Don’t you just love nature? I was surprised at the conclusion of this experiment however that they recommended getting more house plants to keep the air in your home healthy. That’s a great idea but they totally failed to mention changing to safe and natural cleaning products! I find that quite bizarre. It seems so obvious to me but I’ve often found that common sense is not that common. Of course it’s not just cleaning products that maybe toxic. Basically anything you breathe in or that you put on your skin will be absorbed and can potentially cause you harm. You may have heard me say this before that on average, before a woman leaves home in the morning, she uses 12 personal care products that contain 168 different chemicals. According to Dr Mercola 13,000 chemicals are used in cosmetics and only 10% have been tested for safety. That’s pretty scary and it really bothers me that so many people are still unaware that they are slowly poisoning themselves. Common sense tells us to simply stop putting poisonous chemicals onto our skin, washing ourselves with them, cleaning our homes, washing our clothes or spraying them into the air. But don’t be fooled by labels that say “natural” or “contain organic ingredients”. Often they just contain one or two natural ingredients and the rest of the ingredients are toxic. These chemicals can cause a huge range of health problems that conventional medicine is unlikely to connect with low-grade chronic exposure to toxins. We work with lots a people who have multiple chemical sensitivities and allergies simply because their body is on toxic overload. These toxins can disrupt the hormones leading to weight gain and they can disrupt the immune system leading to auto-immune diseases. If toxicity is already a problem in the body these health issues can’t be fixed with medication. This involves soaking your feet in a tub of warm water with Himalayan salt. The water is ionised to draw toxins out of your body through the skin. Over the course of 30 minutes the blood in your body flows through your feet many times. The water changes colour. This is a sign of toxins being pulled out of your body through your feet. Each person has a distinctly different colour and this is indicative of which system in your body is in need of detoxing. Far Infrared Saunas harness the life giving properties of pure sunlight whilst eliminating the harmful UV wavelengths. Its the same light frequency that’s used in Humidicribs for new born babies so its perfectly safe. The Sauna is a dry heat that causes you to sweat out the toxins among other health benefits. The lymphatic system is basically your bodies drainage system. Lymphatic massage is a beautiful light massage that stimulate this system to clear toxins. This is a 6 week program to detox your mind, body and soul. We work very holistically because the mind and the body are intimately connected. Making sustained lifestyle changes is sometimes difficult if you have addictions to cigarettes, caffeine, sugar or chocolate etc. Or if you struggle with emotional eating or comfort eating then clearing stress and any underlying emotions is essential to help you stay on track. 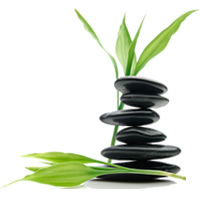 This program combines Hypnotherapy and Naturopathy and is very powerful. Supporting your liver and your gut to detox your body is something that Naturopaths specialize in. There are lots of lovely supplements that can really help your body to eliminate that build up of toxic chemicals. My personal favourite is one I talk about in our wellness webcast but if you have any health issues I seriously suggest you make an appointment with one of our Naturopaths to do a thorough assessment of your toxic load, including testing for heavy metals and learn how to clear it. Sign Up For Our Enews & Receive a Free Copy of 12 Keys to Health and Happiness!